The European Union Bathing Water Directive sampling season for inland and coastal bathing waters is between May and September each year. In addition, lakes, rivers and seas are used for a variety of recreational activities and immersion sports including swimming, diving, fishing and sailing. There may be adverse health effects associated with recreational use if health hazards are present such as (sewage) pollution, toxic cyanobacteria and blue-green algae. Using Bathing Water Directive sampling methodology and UKAS ISO 17025 accredited laboratories, OHES is able to design and implement a monitoring programme to provide you with the information required to make evidence-based decisions. OHES has been responsible for designing and implementing a contingency plan for open water swimming events in the run-up and during the London 2012 Olympic Games. With potential concerns about how water quality may affect the health of athletes and wildlife, we reviewed existing information in order to determine potential risks. We then set thresholds for indicator organisms and recommended treatment options such as the alleviation of poor water quality using hydrogen peroxide. The lock had removed the tidal influence from the Lower Lea and created an impoundment behind which, water quality may deteriorate. 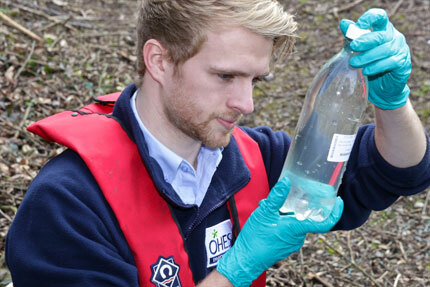 The project involved dosing the river with two forms of hydrogen peroxide and monitoring the effect using instrumentation. 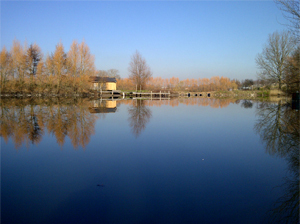 After the concerns over presence of faecal bacteria in a lake used for immersion water sports in the south of England, OHES was commissioned to undertake a water quality monitoring programme which looked at different indicators for the present of (sewage) pollution. We took a set of water quality samples and analysed these for Bathing Water Directive determinants at a UKAS ISO 17025 accredited laboratory. In line with the Bathing Water Directive, we also collected information on the presence of blue-green algae and potential sources for the presence of faecal bacteria such as any inlets and wildfowl. Field and laboratory results were presented in a comprehensive report against European Bathing Water Directive limits and with interpretation from our water quality specialists. 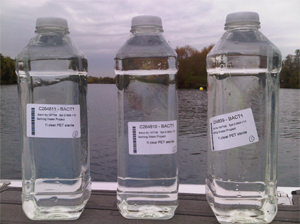 With no faecal bacteria found in the samples, our work provided the owners and water sports users of the lake with the assurance that the water quality was of sufficiently good quality at time of surveying to undertake immersion sports safely. 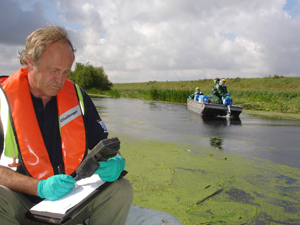 Although not required in this case, we are able to provide solutions to (bathing) water quality problems found, including microbial source tracking for faecal bacteria (determining their origin), nutrient studies for prolific plant or algal growth, sampling and analysis of harmful algae and emergency aeration.